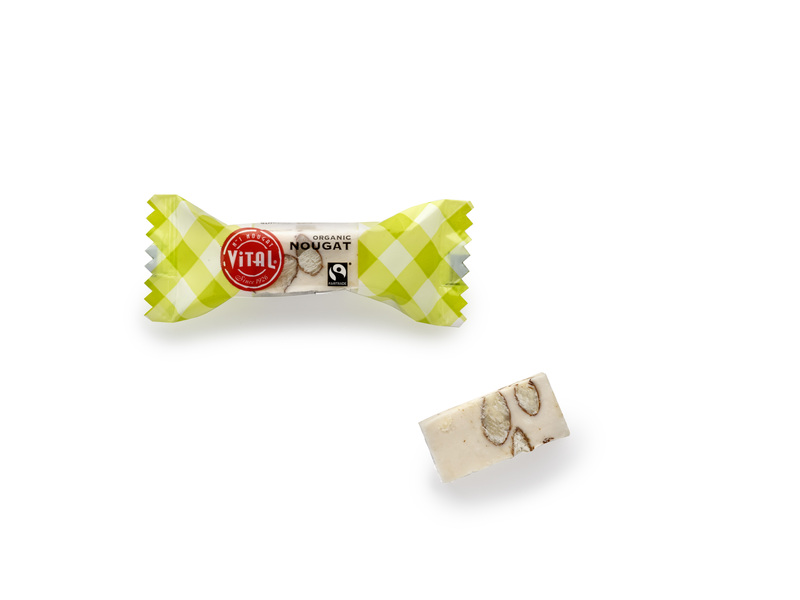 Organic and Fair trade certified soft Nougat. 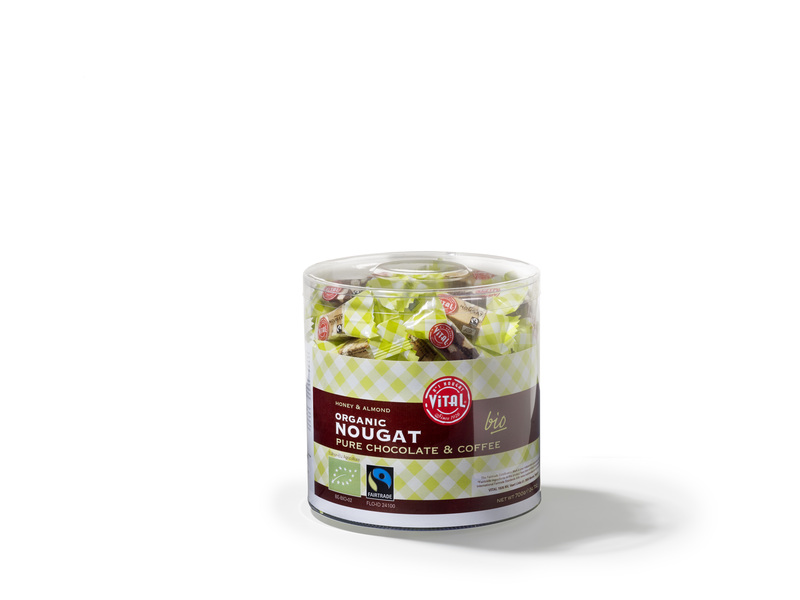 In cases of 2 kg or in a handy tub of 700g. 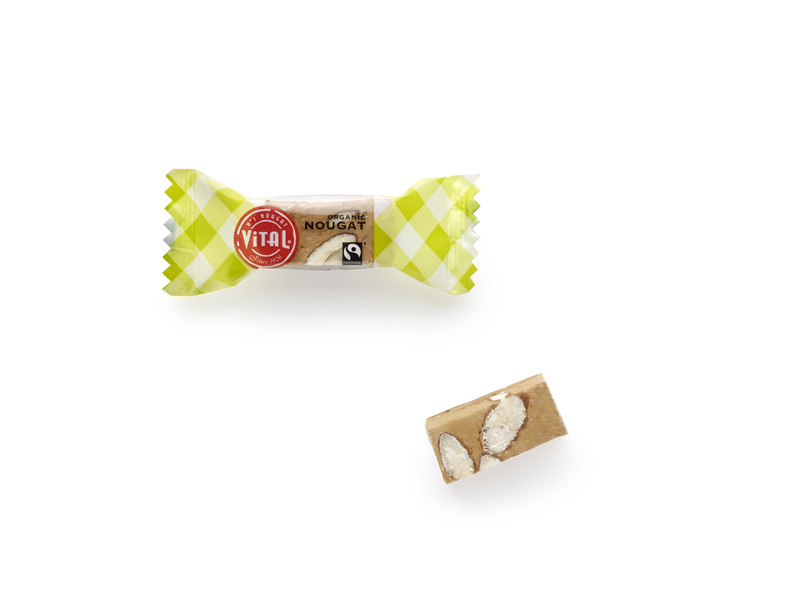 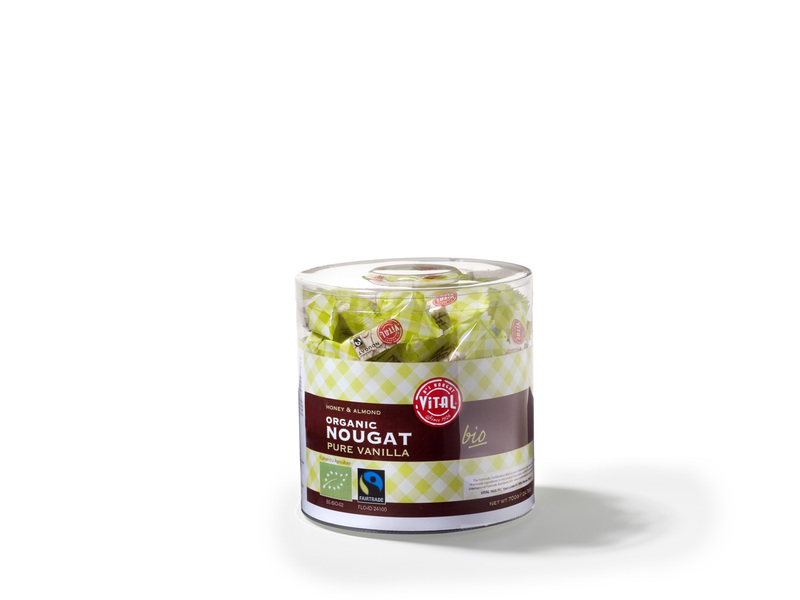 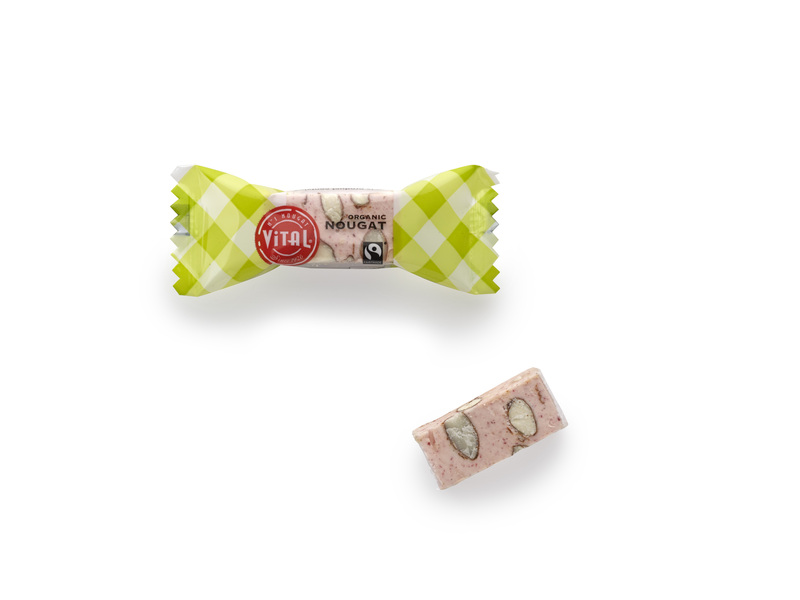 Nougat Vital has a shelf life of 18 months when stored in its original packaging..
Free of sulfite, gluten, milk, lactose, peanut, colouring agents or preservatives. 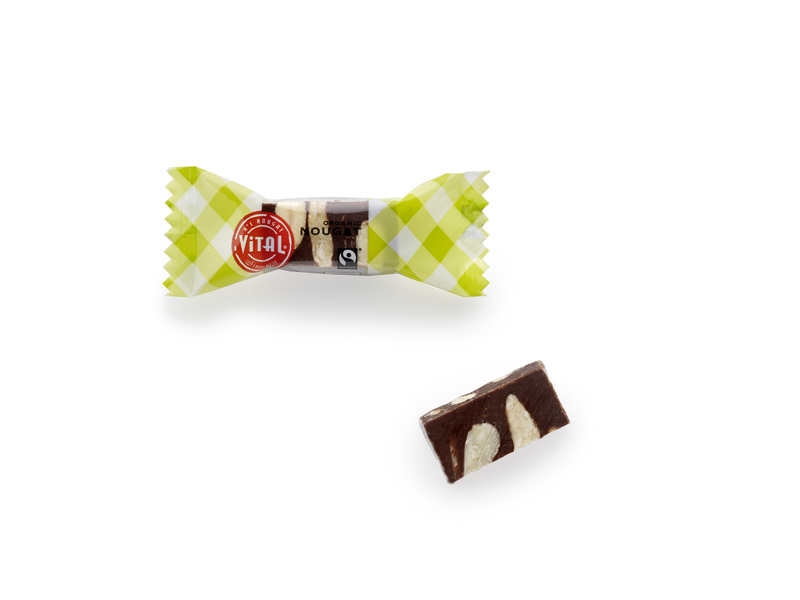 Cholesterol free and suitable for vegetarians.